The predictions that the turn of the year brings always offers an interesting insight into which issues are gaining traction in the market. This year, alongside bold assertions for the way that technology – AI and automation in particular – will revolutionize delivery, I picked up signs that a somewhat less futuristic, but certainly future-focused, issue is beginning to have an impact: consumer concern for the environment. From packaging to postal services, the spotlight is on sustainability. 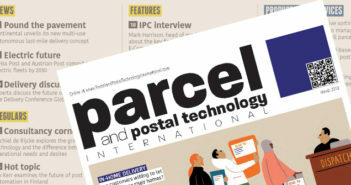 NetDespatch recently worked with IMRG on its Valuing Home Delivery report. This highlighted the fact that the cost associated with parcels that fail to reach the customer first time is a staggering £1.6bn (US$2.1bn). Failed deliveries set in motion a further chain of events involving repeat attempts or customer journeys to collect from depots – all of which have environmental, as well as financial, impact. Improving delivery accuracy therefore reduces this impact and is the logical place to start. As we suggested in the report, retailers need to examine the service they offer and work out whether the drive for speed above all else really meets customer needs or if the higher percentage of failed deliveries outweighs the benefits? Of course, even when the product does get there first time, it doesn’t always suit the customer. In fact, the volume of returns is thought to be growing at 10-20% per year – and returns also have an environmental impact through transportation and unwanted products ending up in landfill. I was interested to read that ZigZag Global, a software company that specializes in helping retailers optimize the return, consolidation and resale of products, has recently secured a multimillion-pound venture capital deal from a fund that identifies opportunities to drive financial value creation within the circular economy. 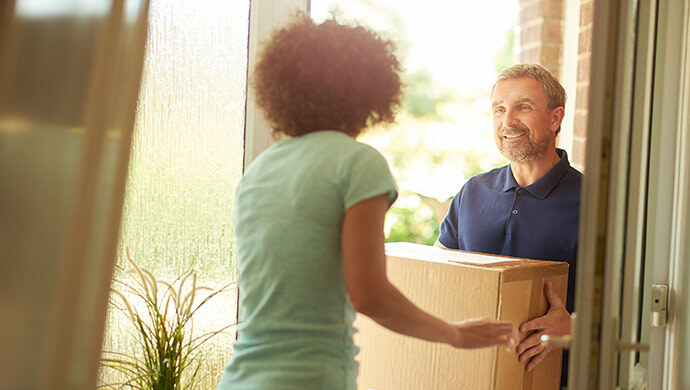 The software reduces parcel journeys associated with returns by 65% by spotting opportunities to repack and redistribute parcels, reducing the waste and CO2 associated with the process. This is a positive sign that businesses are seeing the commercial, as well as reputational, opportunities of sustainability. There’s undoubtedly a trend towards greener transport. John Lewis recently announced that it will be phasing out its diesel trucks in favor of low-carbon alternatives. Meanwhile Hermes is introducing electric vans nationwide after a successful London trial. This trend should continue as diesel engines are phased out, electric vehicle (EV) infrastructure improves and carriers are prompted to innovate through necessity. At the last-mile end of the scale we saw more robot delivery innovations at this year’s Consumer Electronics Show (CES) where zero-emission hydrogen-powered bikes were on show – a good option for couriers. Another innovation unveiled at CES was Continental Corporation’s ‘delivery dogs’ [hyperlink https://www.parcelandpostaltechnologyinternational.com/news/automation/continental-demonstrates-autonomous-delivery-robots-at-ces-2019.html]. This sees a driverless electric vehicle operate on city streets, stopping to unleash its cargo of delivery robots – designed in the shape of dogs – which drop items at homes and offices. This approach makes a lot of sense. Robots and electric vehicles are already in use in the first mile, picking and posting items in warehouses; why not get them doing the same at the other end of the journey? At this stage such delivery tactics have the advantage of novelty, and if they’re emission-free, even better to appeal to eco-conscious purchasers. While improved reputations and efficiency benefits are the carrot encouraging us to improve delivery’s environmental performance, the flipside is the stick of regulatory compliance. Government regulators are turning their attention to the environmental impact of our consumer habits and the businesses that fulfill them. The French government is considering introducing a tax on e-commerce deliveries, and London will introduce a new ultra-low emission zone in July this year, which will expand to cover the area within the north and south circular roads by 2021. This is another factor likely to drive innovation as companies aim to meet their obligations and limit the cost of compliance, while still providing the fast, efficient service customers demand. Responding in a positive way to government pressure is going to be important for business as well as the environment. Retailers and carriers alike need to get a handle on sustainability as it is becoming a significant driver of both regulation and consumer activity. That makes it a board level issue. Just having the ability to report effectively on the company’s environmental performance – something many organizations struggle with – is a step in the right direction. From successfully sorting out the basics to innovative blue-sky thinking, green issues are set to move up the industry agenda as consumers and regulators start to examine the environmental impact of delivery more closely. As Kermit the Frog once said “it’s not easy being green” but, easy or not, it’s becoming essential. Since joining NetDespatch in 2007, Matthew Robertson has played a key role in the company’s rapid expansion which today means the NetDespatch platform is used by over 130,000 business users worldwide. In addition, Robertson’s market experience and knowledge were pivotal in the development of NetDespatch’s innovative Click & Collect offering. 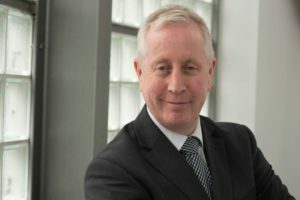 With a career spanning over 20 years in the general distribution and postal industry, Robertson joined NetDespatch from TNT Post where he spent three years as Group Development Director before becoming the co-CEO. He also held a leading role in market development for B2C packets within Royal Mail. Robertson is recognized as an industry leader and provides a key link between NetDespatch clients and the business.